Turkish architectural studio Autoban, walked away from conventional architectural norms and technology, and designed an airport full of cosy cocoons. The resulting space not only challenges the typical airport aesthetics, but also gives everyone stepping into the airport, an unforgettable, thought provoking experience. 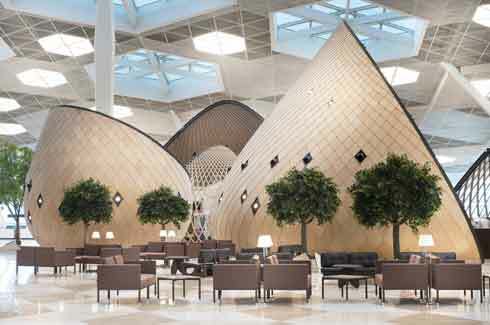 The beauty of the new terminal at the Heydar Aliyev International Airport, is in its scaled down space that feels intimate and welcoming, blurring the lines between ‘fantasy and sensible’. 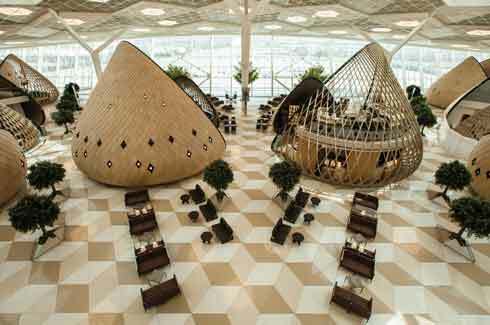 Commissioned to design the 65,000 sq m interiors of the terminal in 2012, Turkish design studio Autoban has created an efficient floor plan, speckled with ‘wooden cocoons’ giving the utilitarian space a contemporary and unique aesthetic appeal. As we approach the building from the outside, there is a natural transition in the design elements and spatial appeal, thanks to the strong belief of the principals that ‘architecture and interior design should be coherent’. The triangular geometry of the panels that form the external concave glass wrap, echoes in almost every part of the interior – the flooring, ceiling, wooden cladding panels, the atrium and escalator spaces, skylight… and in doing so has created a continuous singular fluid motion in the spatial design. Deriving inspiration from ‘warm hospitality’ – the client’s decree, the designers worked on the ‘micro-architecture’ within the vast cavernous space, scaled it down to a more human level and gave it a nest like feel, using wooden cocoon like structures. “Architecture and interior design should be coherent” says Seyhan Ozdemir. Autoban presented the entire airport as one strong fluid design, by bringing the triangular structural form, from the external architecture into the interiors. 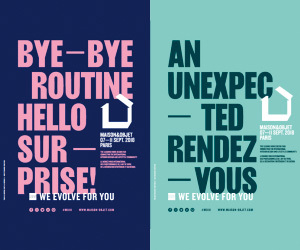 Flexibility and adaptability is the key to the successful utility of the cocoons, which vary not only in function but also in structure and size. Of the 16 cocoons, 11 are solid shapes completely clad in wooden panels while the rest have see through frameworks. 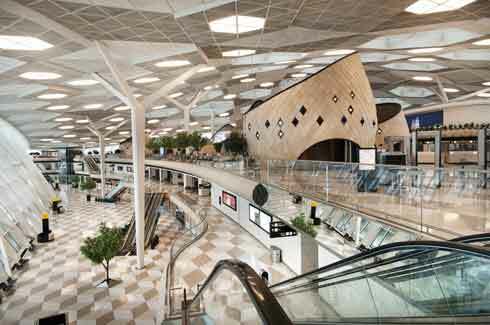 Only a few of them had pre-assigned functions, like the cafe, but the rest were allocated activities later on, and the nature of the cocoons allow the airport authorities to be as versatile with the utility plan as required. 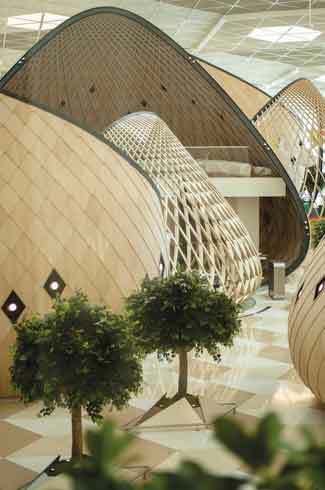 Another notable aspect is the creation of circulation patterns within the larger plan thanks to the placement of the cocoons interlaced with trees; this has generated gathering points and also set a course for human traffic. 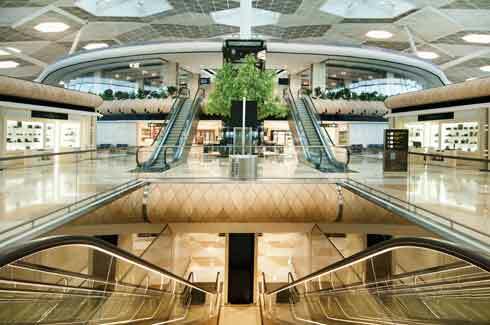 Additionally, this concept has also helped in reducing the massive scale of the airport and made the spaces more personal and relaxed, just as the client had desired and the team had endeavoured to comply. The tactile nature of the material palette, a mix of natural materials like wood, stone and textiles in warm hues, work in tandem with the cocoons to create the desired personal and warm spatial experience. 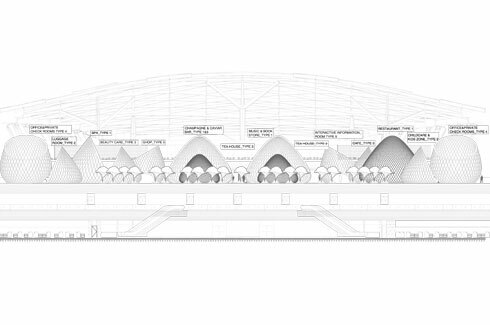 In the dry, arid Caucasus land, the Red Dot award-winning design of the Heydar Aliyev International Airport is like a welcome gateway, modern with traditional elements – a happy conundrum that is warm, functional and playful all at once.